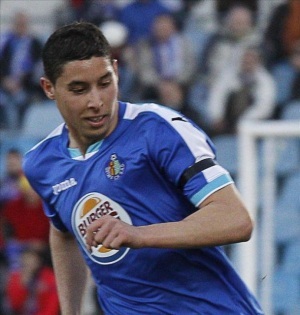 Valencia CF is interested in young 23 years old Abdelaziz Barrada, sometimes known as just Abdel, is a Moroccan professional footballer who plays for Getafe CF in Spain, as a central midfielder. Valencia CF sporting director Braulio Vazquez is looking for one more midfield addition and seems Abdelaziz Barrada as the perfect replacement for Tino Costa who is looking more and more likely will leave Valencia CF in the summer and move to France. Abdelaziz Barrada can play as a central and attacking midfield, though is good defensively as well, so he can pretty much play at all of the positions in midfield, but he is mostly attack minded and would benefit from a defensive minded midfielder.